We don't dial 911 here, just 0. Then the operator will dial 911. Because we think it's funny to slow you down in an emergency. 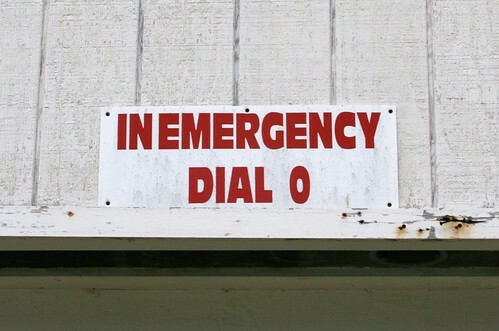 Actually this was because like all Catskills resorts, it predates universal 911 availability.